Please note that this branch is under new ownership and no longer connected to the other branches. 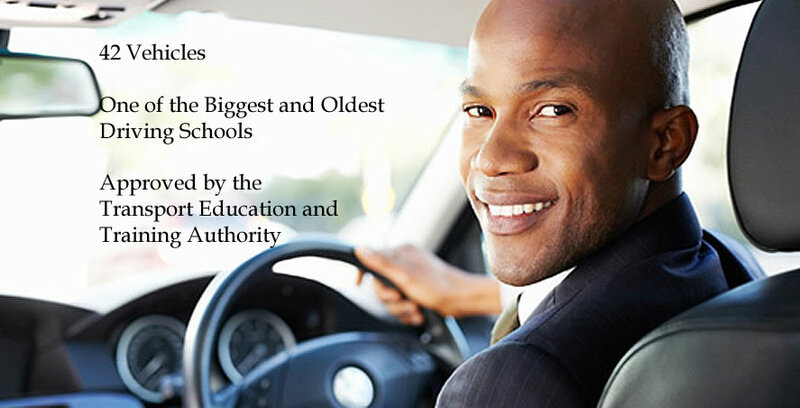 Protea Driving School has been a landmark and leader in Drivers Instruction for the last 12 years. The driving school was started 20 years ago and the current owners bought it 12 years ago. 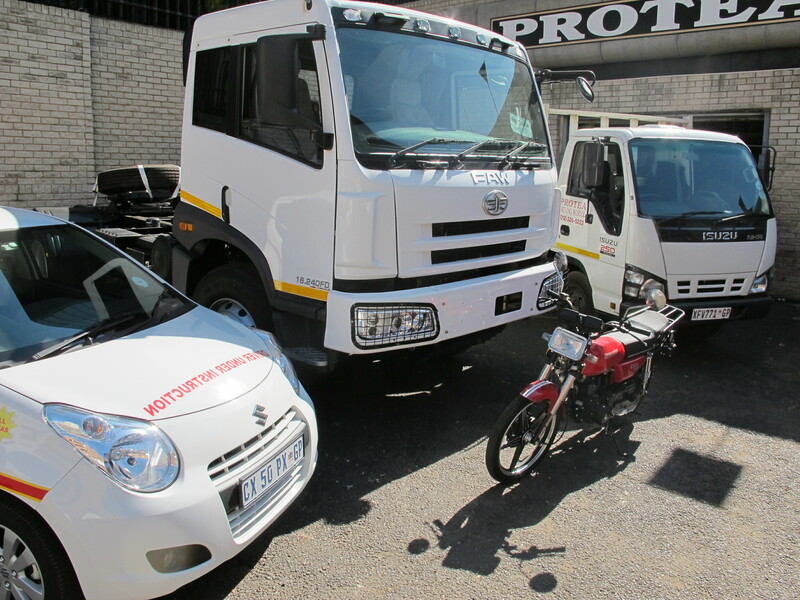 Our well maintained fleet of 25 cars and 14 trucks makes us the biggest and most popular Driving School in Pretoria. We also have two shuttle vehicles to transport clients to the testing stations. We have an automatic car that is also equipped with hand controls to train disabled people. We also now have a code 14 truck! Yes, we now do motorbike, code 8, code 10 and code 14! These modern Standardized vehicles are all equipped with D.C.S. (Dual control system) to ensure the safety of the occupants and enables the instructor to act as "co-driver" in tight situations. This also ensures the safety of the occupants. Fast and effective training by our well experienced TPA approved instructors ensures you value for money. Remember: you are now tested on computers when you do your test at the provincial testing stations in Pretoria and Rustenburg. We now provide computerised training in Pretoria, Rustenburg,Polokwane and Marikana. It will help you to be comfortable with the computer on which you will do your test. We assist you to work your way interactively through material based on the latest SA National Road Traffic Act and the K53 manuals used by the Department of Transport examiners. We will help you to pass your LEARNERS & K53 DRIVERS LICENCE first time! 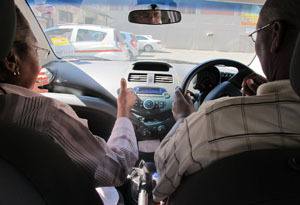 Check out the Protea Driving School's NEWS menu for the latest news and article's!